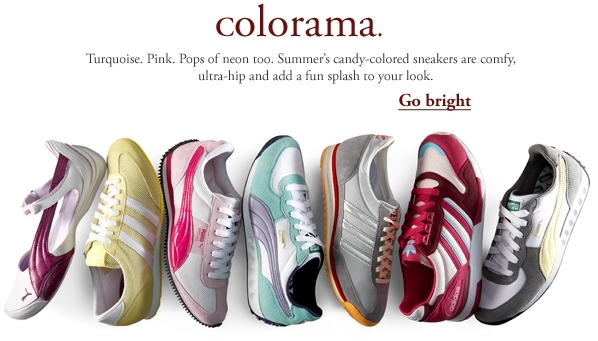 Find candy colored sneakers in stock at Piperlime. You will find a great selection from adidas, Puma, Converse and more. Did you know that they are part of the Gap. Where you looking for yoga apparel for spring 2009? 2009 Shopping Articles: search by month from the below links.